The demonstrators waved pictures of Marzieh Hashemi at the rally in front of the Swiss Embassy which handles U.S. interests in the Islamic republic. U.S.-born Hashemi, who works for Iran’s English-language Press TV, was held on arrival at St Louis Lambert International Airport on January 13, according to family and friends cited by Press TV. A U.S. court on Friday confirmed the arrest, saying her testimony is required over an unspecified case but that she is not accused of a crime. 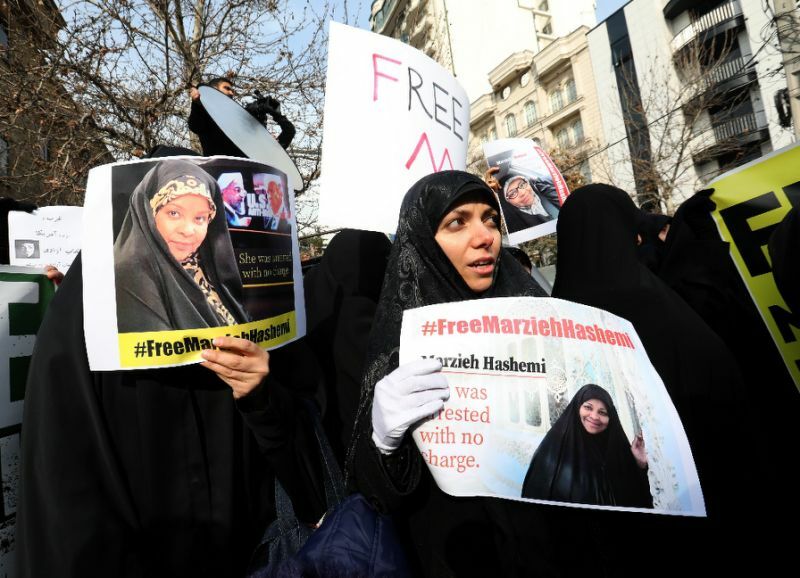 The protesters in Tehran, including students and female members of the paramilitary Basij militia, shouted slogans such as “we are all Marzieh” and carried posters with the hashtag #FreeMarziehHashemi. “We demand that she is immediately released and returned to her family in full health,” demonstrator Minaeepour told AFP. Iran’s FM Javad Zarif on Thursday described the detention as a “political action” by the United States that “tramples on freedom of speech” and demanded she be set free.